As the term starts its inevitable wind-down, just a few reminders this week, and a best wishes for the upcoming break! As mentioned before, the official coming out party for the OpenLab will take place on the 19th of April. We’re terribly excited to have as our guest Jim Groom, a pioneer in instructional technology, with a “specific focus on curricula, pedagogical and technologically enhanced projects.” That means–in less acedmic-speak–he’s a leader in creating and using digital academic platforms like the OpenLab. And he’s a great speaker! 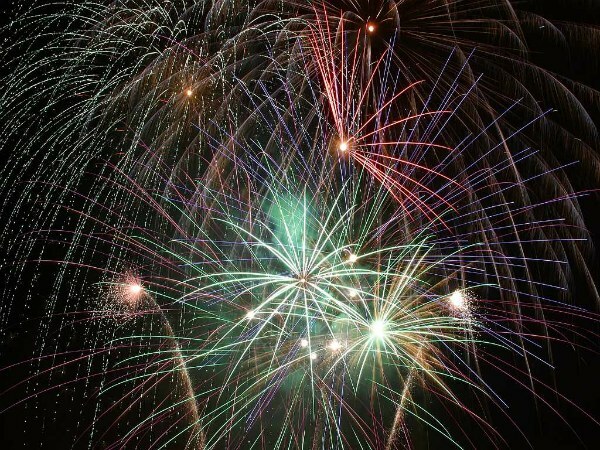 And there will be snacks! Earlier in March, Sandra Chang offered her students an interesting discussion topic concerning an issue that’s dear to us all–the question of copywright and ownership of online materials. You can read the whole post here, but of particular interest is an article on photography and tumblr, which deals with how easy it is to share images on the internet. Tumblr’s “reblog” function, which allows a user’s followers to repost a particular entry to their own Tumblr page, offers photographers a certain level of feedback on their images because they can track who likes their work and where it is shared. 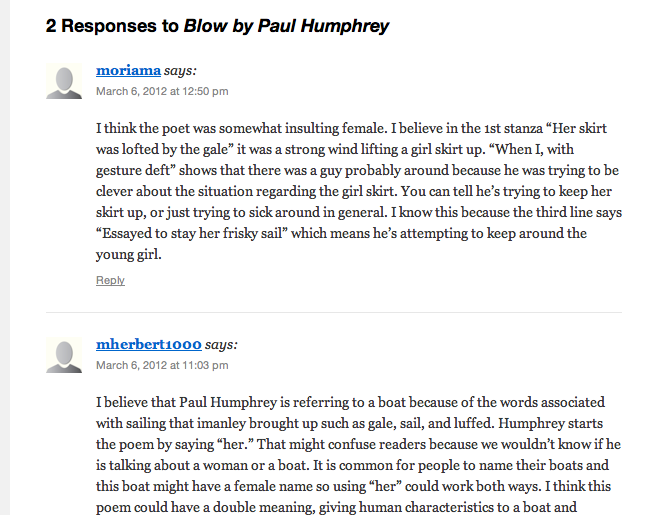 Reblogging makes Tumblr an “interesting social gauge of what the public is interested in,” says Weinberg. Reblogging can also make photographers a bit queasy, however, because once an image is reblogged they essentially lose control of how and where their work is displayed. A particular entry can easily bounce around from Tumblr to Tumblr as users reblog it. Sacha Lecca, a Rolling Stone photo editor who maintains his own Tumblr, recently posted photographs he took on the set of amusic video shoot for The Strokes. The images were picked up by Tumblr blogs set up by Strokes fans, and from there his post “blew up,” he says, and was widely reblogged. 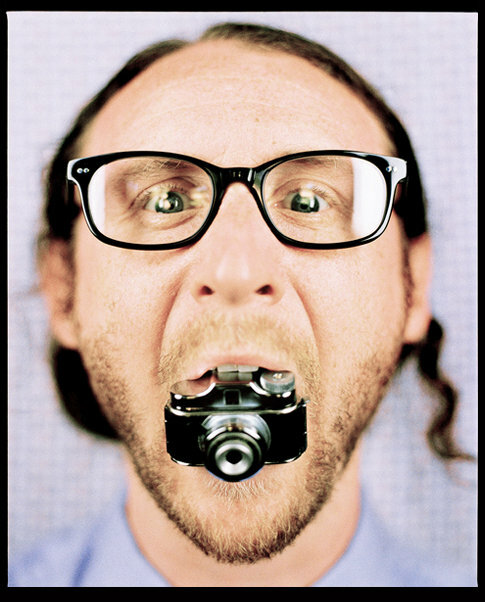 With Tumblr, he says, he is “embracing what has changed about photography. . . . The trade-off [of relinquishing control] is that it allows people who wouldn’t normally see my work to see it, and that’s all that’s really important to me. It may not be necessarily how I want my work to be seen, but at least they’re seeing it and appreciating it for some reason.” One of Pfluger’s images has more than 2,000 reblogs and comments. These are critical questions for artists in the digital age, but their also critical for student and faculty users of the OpenLab, especially when we post our work, presentations, powerpoints, etc, in a public setting. 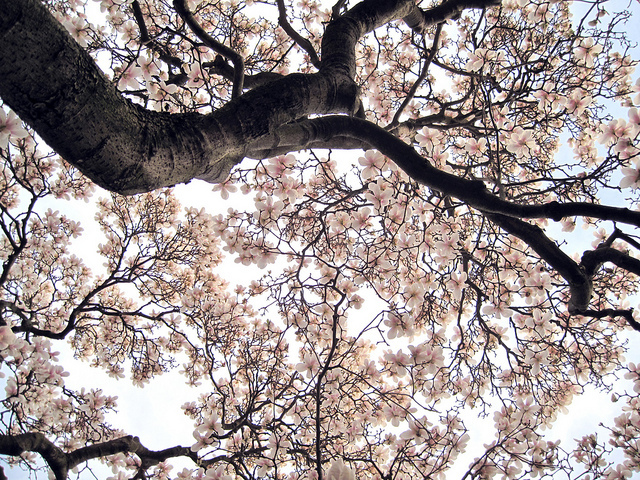 And don’t forget to check out Dr. Chang’s student comments! 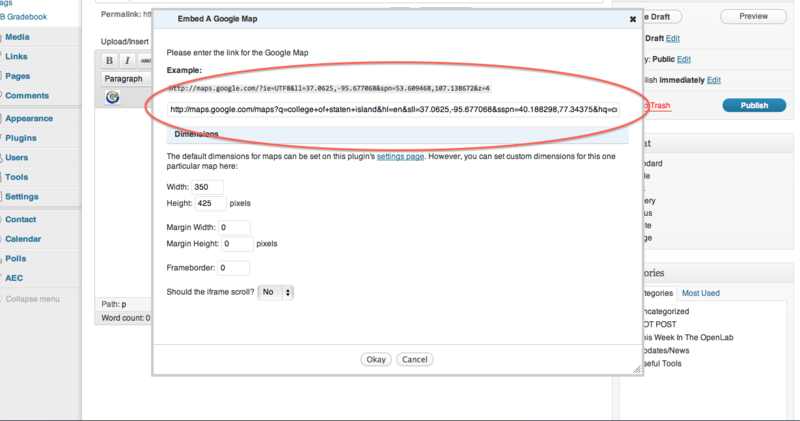 Our Google Maps plug-in allows users to embed google maps into posts and pages. If you’ve used wordpress in other settings before (wordpress.com, for example), you’ll want to look through this tutorial because the embedding process might be a little different than you’re used to. A little different, but very simple. You can learn more and see the tutorial here. And as always, contact us with any questions! PLEASE NOTE: CUSTOM GOOGLE MAPS WERE RECENTLY CHANGED AND CANNOT BE EMBEDDED USING THE TUTORIAL BELOW. WORDPRESS IS WORKING ON THE PROBLEM AND WE’LL UPDATE THE TUTORIAL AS SOON AS THEY DO. STANDARD, UNCUSTOMIZED GOOGLE MAPS CAN STILL BE EMBEDDED. 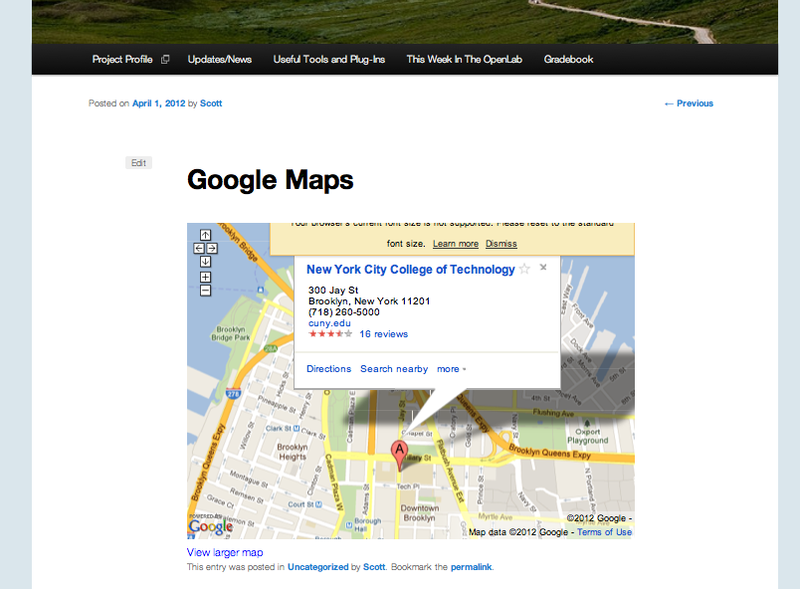 Our Google Maps plug-in allows users to embed google maps into posts and pages. If you’ve used wordpress in other settings before (wordpress.com, for example), you’ll want to look through this tutorial because the embedding process might be a little different than you’re used to. A little different, but very simple. To use it, first activate the plug-in on your plug-ins page. 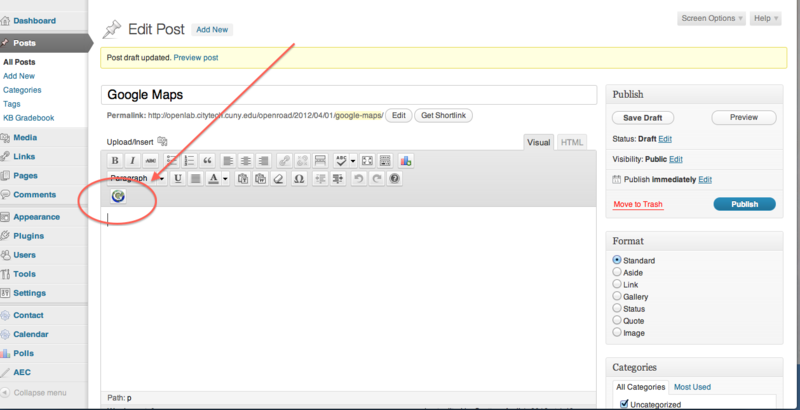 Once you do, you’ll see a new icon appear in your posts or pages toolbar. Once you’ve created a google map, click the small link icon at the upper right of your map, and then copy the URL from the dialogue box that appears. Note: you shouldn’t copy the iframe code in the lower box, even though it says to copy that to ’embed’ in a webstie. Copy the code in the upper field. Click on that icon we pointed out above, and copy the code into the dialogue box that appears–note that here you change the size of the map as well. Hit ‘okay,’ and then publish the post, and your map will appear! As always, contact us with any questions. 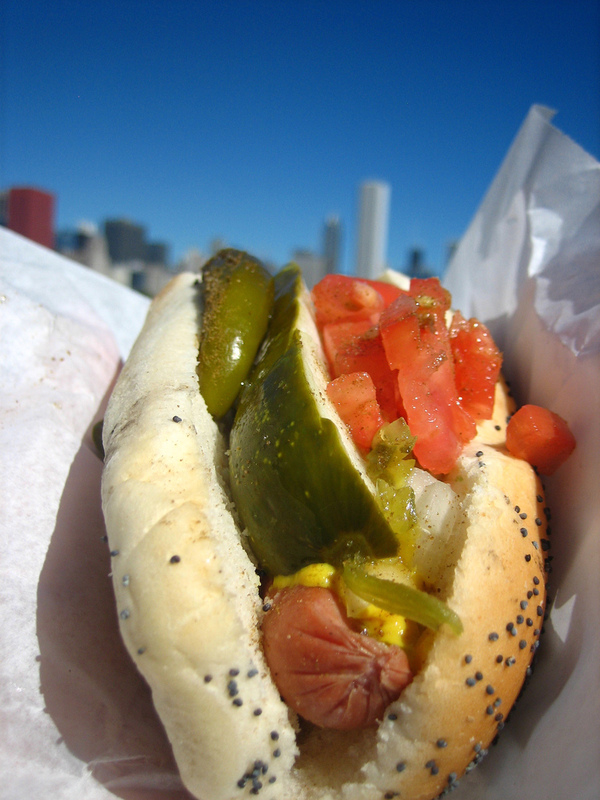 Image by Steve Velo via Creative Commons. 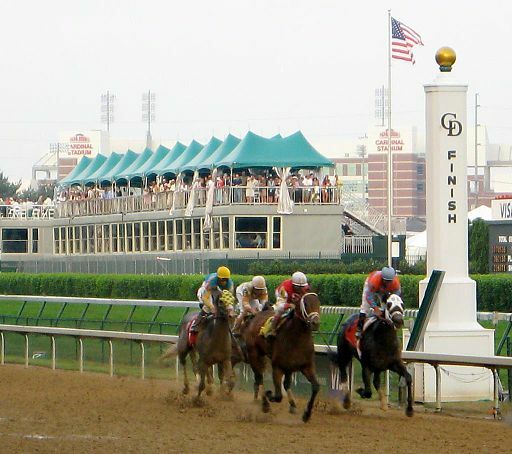 This week we’d like to start by mentioning that our very own Elizabeth Alsop, OpenLab Community Team Member and all around wonder, has accepted a tenure track position in the great state of Kentucky (doubtless singlehandedly causing Kentucky’s ongoing NCAA tournament success). We’re terribly sorry to have her leave us, but are also excessively proud of her. Congratulations, Elizabeth! 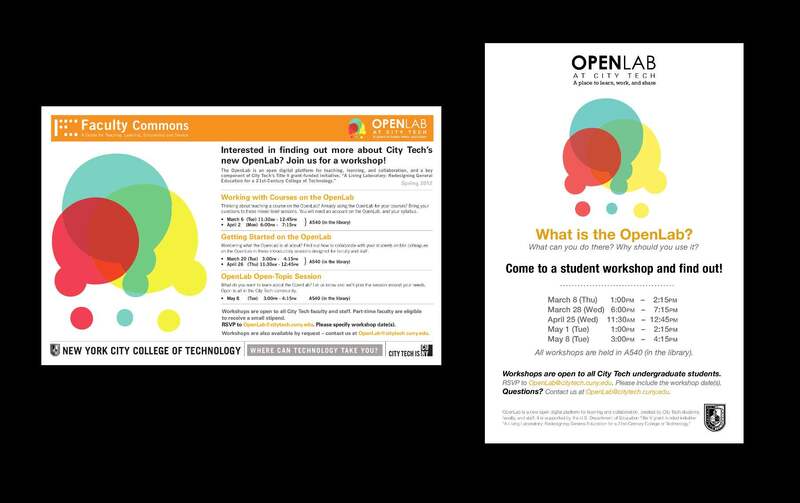 Just as a reminder, there is an evening OpenLab workshop for students on Wednesday of this week (the 28th). It will be held at 6pm in 540A in the Library. Hope to see you there. Please RSVP to be sure to have a spot. We very much encourage you to follow the assignment Matt Gold has given his Introduction to Poetry Class. Not only is it an interesting project in its own right, but you soon might find yourself involved: Professor Gold’s students will explore other class sites and will leave comments on posts and pages they find interesting. If you are a student or professor, please write back–we love to see dialogue between courses on the OpenLab, it’s one of the key unique elements of our platform. You can find a tutorial about the plugin here. And as always, contact us with any questions! 2) Once activated, ‘Gallery Post’ will appear in the left hand menu, click there, hit ‘Add Post’ and begin adding images via the media uploader (as you would on any page or post to which you’re adding images). We do recommend reducing the size of these images, to help them fit the sidebar without distortion. You can add text (see the arrow below), but there’s not much room in a sidebar, so keep it short! Once finished, click publish. 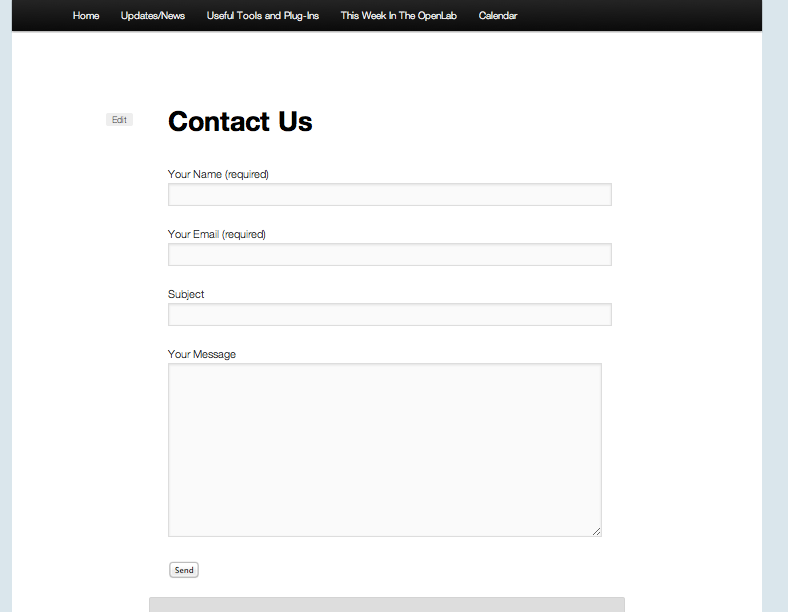 3) Now visit your widgets page, which you can find at Appearance>Widgets. Drag the Rotating Gallery widget to your sidebar, choose a number of images (type ‘all’ if you want all to appear), an image size, and you’re done! We do recommend changing the image size when uploading the images, because the plugin will try to stretch images to fit in the sidebar, sometimes distorting them more than you’d like. 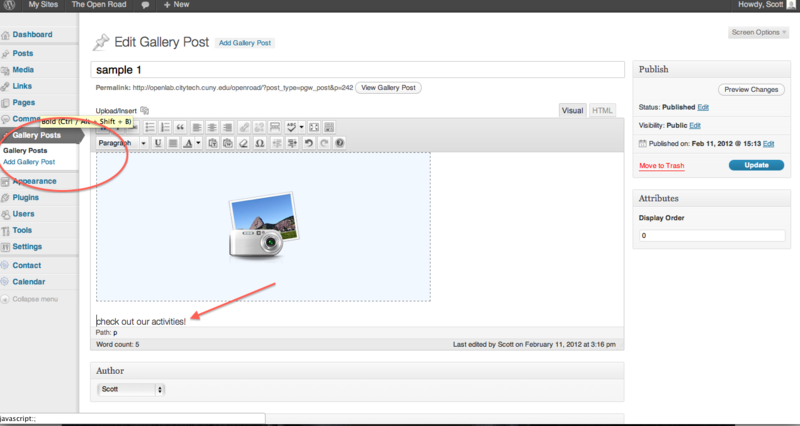 Changing the size in the widget helps this a bit, but choosing ‘thumbnail’ when uploading is even better. 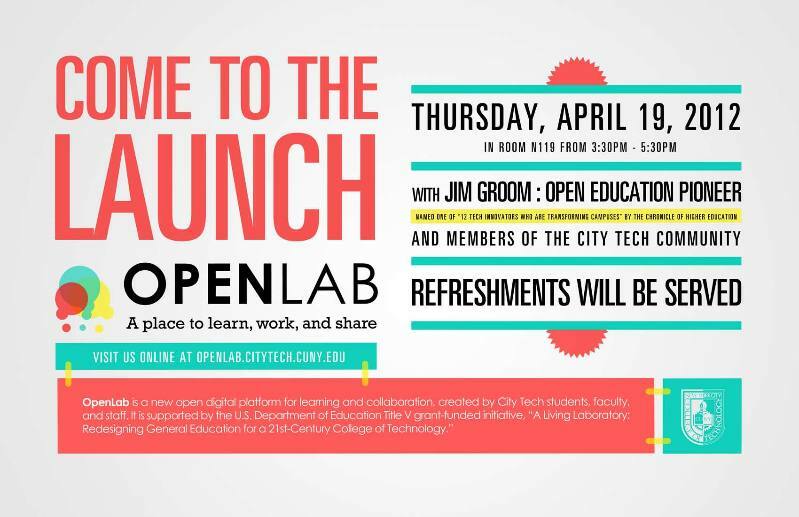 With the Brooklyn spring here a bit early, consider this your first invitation to the official CityTech OpenLab launch, scheduled for mid-April. More details to follow, but pencil it in for the 19th of April. We’ll see you there! 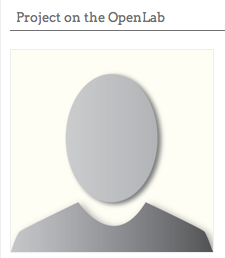 As more and more people and projects join the OpenLab, we’re finding more and more default avatars or, as we like to call them, “floating bubbleheads.” Thought we’d take a second to remind everyone that you can personalize your avatar under MyOpenlab>Profile>change avatar. From there you can upload a personalized image that not only represent “you” all over the OpenLab, you’ll be making the OpenLab the dynamic, colorful, exciting place we all know it can be. Many of our professors use the ‘comments’ function on course sites to have students respond either to one another’s work or to a prompt, as in the example from Professor Rosen’s above. And comments are not just useful for professors–encouraging comments from users is one of the main ways for a site to interact with the public, particularly the larger public outside CityTech. But until recently, users couldn’t edit their comments if, say, they rethought what they had said, had something additional to add, or even just misspelled something. To deal with that, we’ve installed a new plug-in called “Ajax Edit Comments.” This plug-in allows for comments to be edited by users for a set length of time (the administrator of the site can set that time-length), and it also has a spell check feature. Unlike most plug-ins, which usually have a specific audience, we really recommend that all OpenLab users activate this one. There’s a tutorial on it here, and as always, contact us with any quesitons! 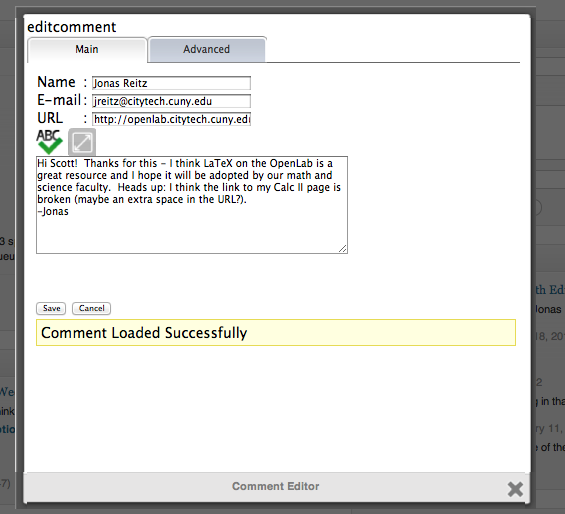 To deal with that, we’ve installed a new plug-in called “Ajax Edit Comments.” This plug-in allows for comments to be edited by users for a set length of time (the administrator of the site can set that time-length), and it also has a spell check feature. Unlike most plug-ins, which usually have a specific audience, we really recommend that all OpenLab users activate this one. Here you can change the length of time that users can edit, etc. 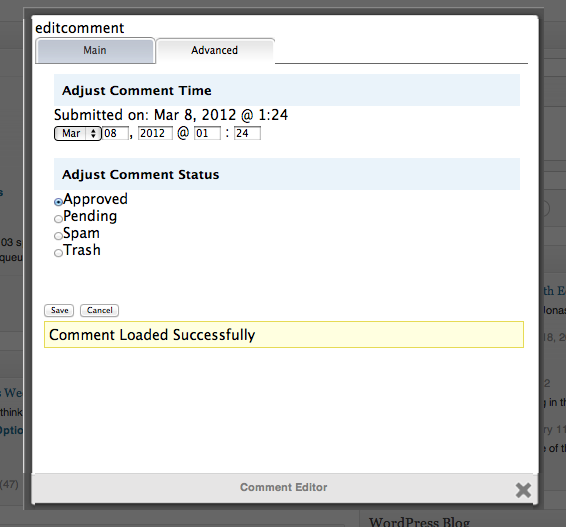 In addition, the administrator can edit all comments, and will find a more robust set of editing options on the dashboard. There’s more information on how to use the plug-in in the video below. And as always, contact us with any questions! 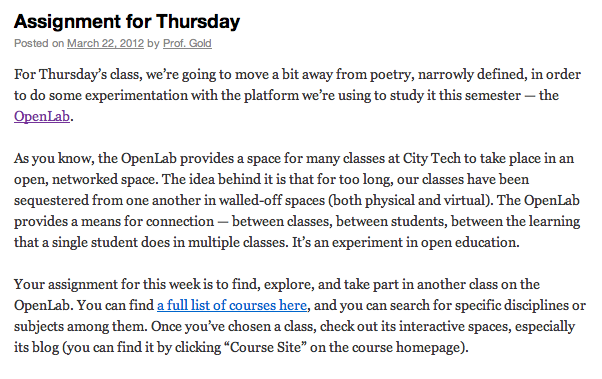 As we mentioned a week or so ago, there are a full slate of OpenLab workshops scheduled for the rest of this term. There are workshops for faculty and for students, and the workshops address a variety of subjects, from getting started to more advanced issues. Check out the posters around the campus and just above for more information, and contact us to sign-up. If you like what you see here, more information and a tutorial can be found here. And as always, contact us with any questions! Below is a nice video with clear explanaition that shows how to use the plugin. Remember (as with many of the video tutorials you’ll find on The Open Road) the Contact Form 7 plugin is already installed on your site. That means you only need to go to the ‘plugins’ (left hand column of your dashboard) and ‘activate’ it. That also means you can skip any information in the tutorial about installation. In this video, that means you can watch the first 30 seconds or so, and then skip to 2:33. And most of the basic setup info ends about 2 minutes after that. Hope you like it. And here you can find support forums, an FAQ, etc. And as always, contact us with any questions! Announcing the Journal of Interactive Technology & Pedagogy! Speaking of teaching and digital platforms, the Interactive Technology and Pedagogy Certificate Program at the Graduate Center has released the first issue of JiTP, its new online journal. It’s just grand: a nice blend between the theoretical and the practical. If you’re looking for ways to think about teaching with digital platforms, or just looking for good ideas for classes, it’s something to watch. It’s particularly great to see the section ‘Teaching Fails.’ A great title and great concept. This issue, Bill Kules writes about a particularly ineffective assignment, and what can be learned from it… and our own Charlie Edwards and Matt Gold are involved! This week, we’re featuring WP Polls, a site that allows a course, club or project to ask a question or questions of members or students. The poll have as many answers as you like, can appear in a sidebar, post or page. The tutorial is here. And as always, email us if you have any questions! 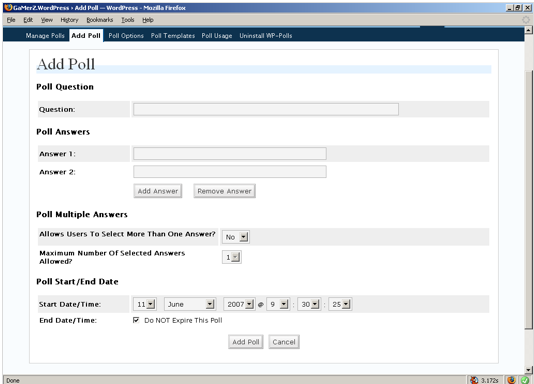 Adding a poll to your site is a snap with the WP-Polls plugin! 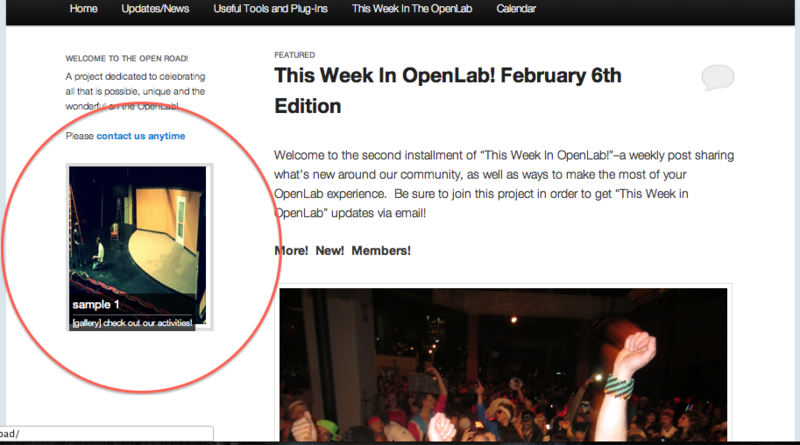 Clubs and projects can use polls on the OpenLab to determine user needs, interests, or even just set up a meeting time! This short video is a perfect introduction to this simple plugin. If you have any questions, remember, you can always contact us!